Such a gorgeous set Lucy. I'm sure your Mum loved them! Happy New Year! I'm sure your mom loves them...they're gorgeous! 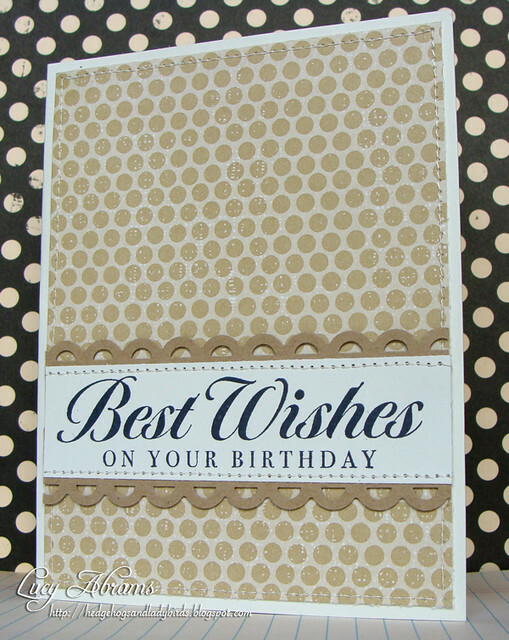 LOVE the tone-on-tone stamping! Oh, I love this set! Simply Gorgeous Lucy. Did you get my mail???? These cards are realy gorgeous! Your mom has to send them only to special persons. Beautiful Lucy, they always make such great presents, I made my first lot last year and they were such a hoot that I did that again this year. Great design on yours, thanks for the inspiration. Lovely set, Lucy! Such pretty colors and I love the tone-on-tone stamping too! So pretty! Enjoy the rest of your family time and Happy New Year to you! Beautiful set and lovely packaging, your mum will be delighted. I should make some of these to keep on hand for birthdays! Cool! 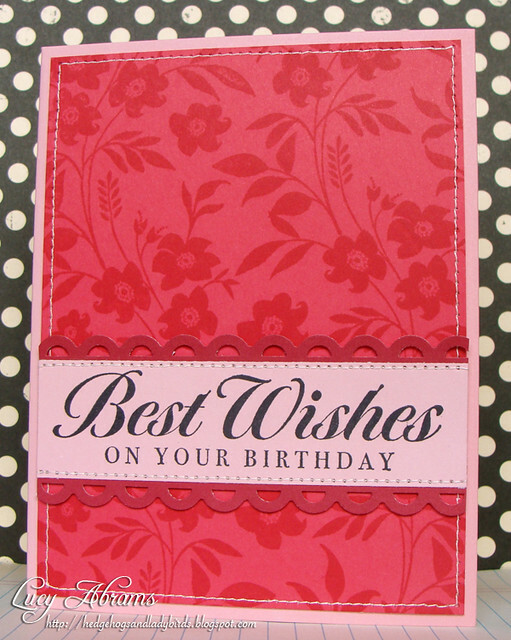 Your cards are beautiful - what a thoughtful gift! 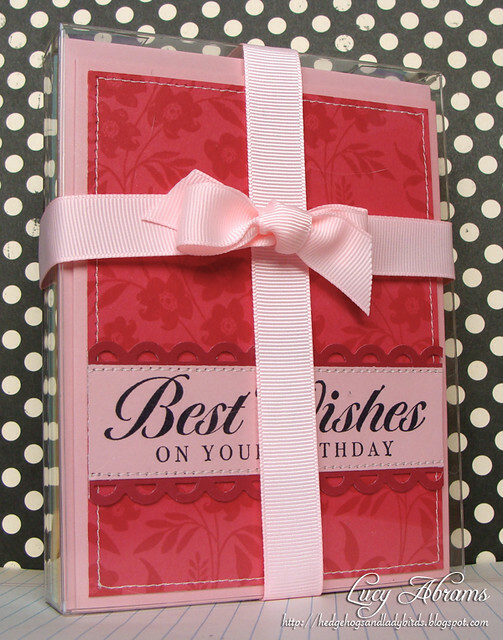 Great cards and great gifts! What a great idea ! She must be very happy. 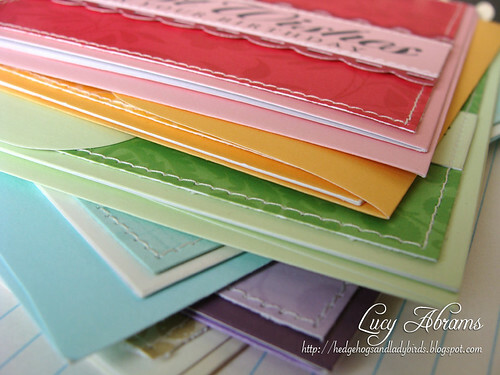 I love this set of cards, Lucy...they make a really wonderful gift! What a wonderful and thoughtful gift for your mom! Love how you infused so many colorful elements to each card! Love your work! What type on machine do you use for the stitching?